Small package of improved variety of alfalfa seed. Preinoculated and with a color added to ease in spreading. A 3 lb bag will cover a 5000 square foot area. An economical blend of alfalfa varieties adapted to all areas where fall dormancy 3 and 4 alfalfa varieties are grown. Forage Queen is moderately resistant or better to the major alfalfa diseases. Plant 15-20 lb/acre for pure stands or 10-15 lb/acre in a mix. Semi-erect, short-lived perennial, 1 to 3 feet tall, pink and white flowers. Major uses are pasture, hay. Seed are broadcast at 4 to 6 lb/A. Cinnamon plus red clover 3 lb bag. A three pound bag of Cinnamon Plus Red Clover that is preinoculated and with a color added to aid in consumer use. A three pound bag will cover 5000 square feet. CRUSADE is a vigorous, large leaf, winter-active variety of intermediate white clover. Because of its winter-active characteristic, CRUSADE will provide extended grazing during the colder months in regions experiencing mild moist winter. Other characteristics include early and vigorous flowering, superior growth and freedom from virus and disease symptoms. In tests, CRUSADE exhibits strong recovery from cutting, grazing and moisture stress. Winter annual.. Brilliant crimson flowers, long heads, maturing from bottom to top. Will produce more forage at low temperatures than other clovers. Seed are broadcast at 20 to 30 lb/A in late August-October. Ladino clover is a giant form of white clover. It is a rapidly-growing perennial, which spreads with prostrate stolons. Fairly long-lived perennial in upper South; short-lived perennial or annual in lower South. Very leafy plants 8 to 12 inches tall that spread by stolons (runners) and form shallow roots at nodes. 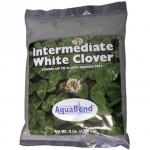 Enhance your soil with Clover Yellow Sweet. This forage crop seed is easy to spread. Requires maintenance. This blend provides palatable forage when the natural forage is extremely limited. It is an excellent source of needed nutrition for your deer herd before they enter the winter stress period. Attractive and nutritious. A favorite with serious wildlife managers. Grass Brome peak 50 lbDeveloped specifically for persistence and yield, this bromegrass features superior vigor, good winterhardiness, foliage disease resistance and excellent seed quality. Growing 20 to 40 inches tall, Peak Smooth Bromegrass produces higher dry matter yields, recovers quickly after cutting, and is highly palatable to livestock. Perennial. Rhizomes produce a dense sod. Grows 1 to 3 feet tall. Major uses are pasture, limited use for hay. High nutritive value. Seed are planted at 10 to 15 lb/A in August-September, or sometimes in February-March. Grows 2 to 3 feet tall. Its major uses include pasture and hay. Forage quality is high under good management. Seed should be planted in September at 15 to 20 lb/A, or 4 to 8 lb/A preferably with a legume. In upper part of Zone C and Zone D, plantings are sometimes make in early spring. Perennial bunchgrass. Grows 2 to 3 feet tall. Its major uses include pasture and hay. Forage quality is high under good management. Seed should be planted in September at 15 to 20 lb/A, or 4 to 8 lb/A preferably with a legume. In upper part of Zone C and Zone D, plantings are sometimes make in early spring. Field peas are native to Europe, northern Africa and western Asia. The Austrian winter pea (Pisum sativum spp arvense) is a fall-seeded pea introduced from Austria to the Pacific Northwest in the 1930s. Southern States Coated Orchardgrass is an early maturing orchardgrass that has been selected for persistence under heavy grazing. 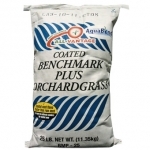 It is ideal for pastures or hay with great palatability, excellent plant vigor and superior forage yield. It is also drought tolerant and has resistance to stem rust. BiologicFTs Maximum contains 100% New Zealand brassicas that can be planted in either the spring or the fall. 2.25 lbs covers 1/4 acre. A deer's available diet seldom supplies all the minerals, vitamins, and protein necessary for maximum good health and growth. Provides a tremendous amount of antler-growing protein on a year-round basis, other minerals and vitamins may be unavailable. It is beneficial for deer to have available a mineral and vitamin supplement on a daily basis. Scientifically developed after years of observation by wildlife biologist, veterinarians and field testers for the Whitetail Institute of North America.